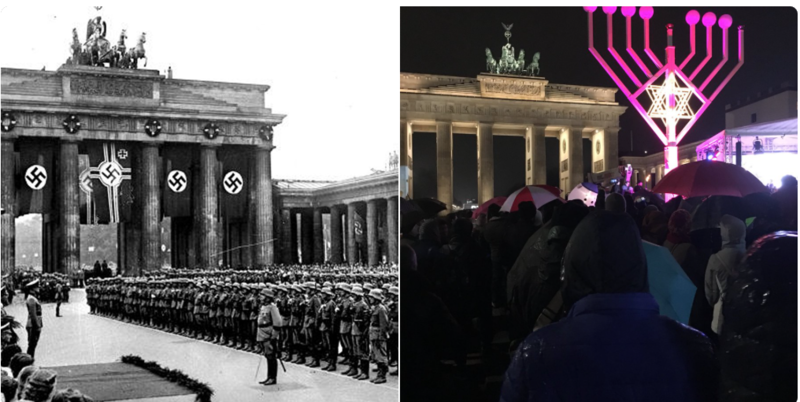 Germany’s Brandenburg Gate in 1939 vs. 2017. A year on, Merkel will finally meet families of Berlin attack victims. Well, she’s busy. Destroying a continent is time-consuming. GERMAN Chancellor Angela Merkel has visited the Christmas market at Breitscheidplatz, one year on from the deadly terror attack there which left 12 dead. 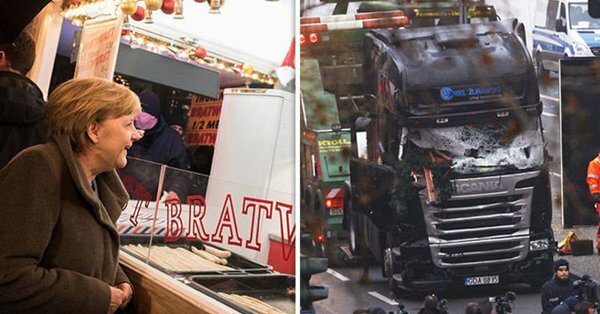 In December last year an Islamic extremist hijacked a truck and ploughed into shoppers, killing 12 and injuring 56.Families of the victims have repeatedly criticised Mrs Merkel for not acknowledging their grief in the year since the attack.This week she finally said she will hold her face-to-face meetings with relatives of those killed in the attack. Shouldn’t the Muslim community welcome such measures, or do they sympathize with those slaughtering in the cause of Allah? If that happens, the lights will go out all over Europe. The light of Islam is the fire of hell. Previous PostNJ: Sheikh Aymen Elkasaby: “Count them (JEWS) one by one, & kill them down to the very last one. Do not leave a single one on the face of the Earth”Next PostWhy Has ISIS Threatened to Behead “the Pope of Islam”? 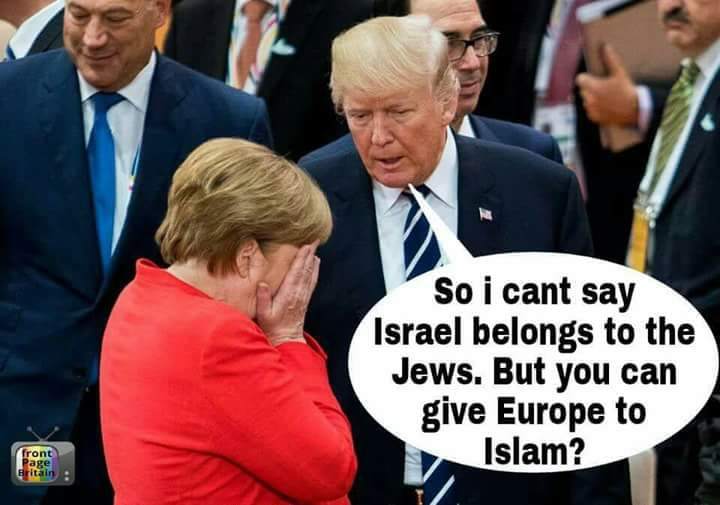 Stealing the Merkel/Trump pic for me Twitter feed LOL!